Bali is a popular tourist destination, especially among backpackers. There are so many things to see here, from beautiful views to cultural attractions. You may have a lot of freedom to explore it if you jus visit by yourself or with good friends, but, what if you visit Bali with your entire family? Surely, you must pick places where you and your kids can have fun together. 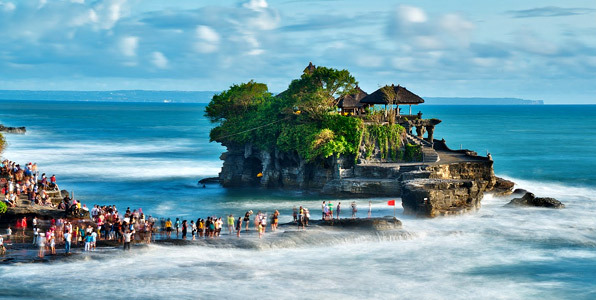 While you may have to skip nightclubs, you can still have fun in various tourist attractions and destinations in Bali. Here are some fun activities you can do together with the entire family. Water sport and play are fun activities for both adults and kids. 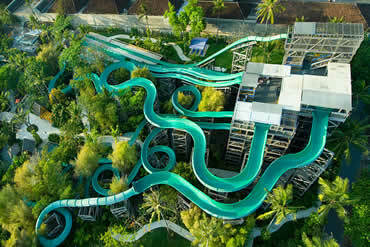 Bring your family to Kuta Waterbom Park for a fun filled day. This water park has actually regarded as the world’s 3rd best water park and becomes 2013 Traveler’s Choice in Trip Advisor website. Besides various water plays, you can also enjoy delicious buffet meal or being pampered in spa facility. Do you want something more challenging? Head to Tanjung Benoa, a coastal area near Nusa Dua where you can enjoy various water sports, as well as diving and snorkeling. 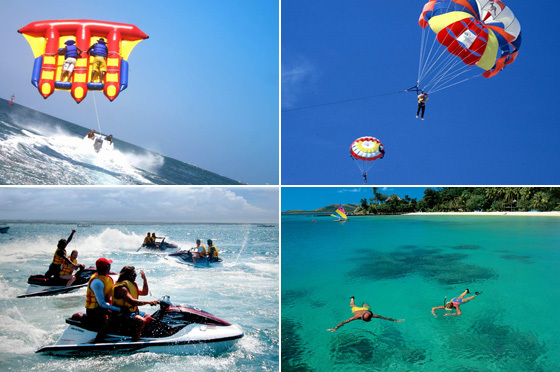 Here, you can enjoy water sports such as parasailing, banana boat, water donut, and flying fish. Kids can join these activities as long as they are already 6 years old and accompanied by adults. If your kids love animals, there are many places you can visit in Bali to enjoy interesting and cute animals as well as learning about nature. 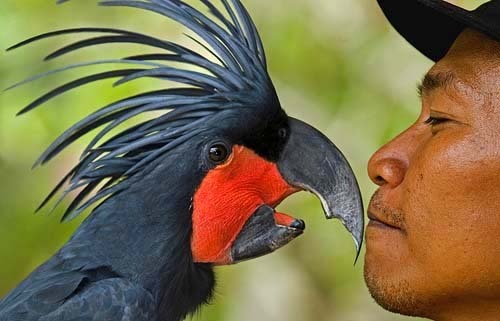 Bali Bird Park is a famous animal sanctuary that keeps huge collections of rare birds, reptiles and other animals. You can also take your kids to Ubud, where there are several animal related destinations. Animal Welfare Association is located in Monkey Forest Road and keeps stray cats and dogs that have been vaccinated and tamed. Kids can learn how to take care of pets in proper ways, as well as playing with cute cats and dogs. You can also adopt an animal or make donation. Other animal related place to visit in Ubud is Bali Bird Walks, where you can take a walk in Tjampuhan Village and enjoy rural views as well as local birds. You and family can also join local guides in ‘farmer for a day’ activity. Finally, there are P Stables, a stable compound located near Pererenan Village and open for public. Here, you and your family can learn how to ride a horse, before a trained guide take you to nearby beach for an unforgettable beachside horse riding. Bali is rich in cultural heritage, so there are many places where you can take your family to see it. There is the iconic Tanah Lot Temple where you can enjoy sunset, before heading to the temple and enjoy traditional dance performance (based on schedule). You can also visit Tirta Gangga Park, a beautiful historical site that used to be private sanctuary for royal families. Bali is not just about beachside clubs, bars, shopping and surfing. There are so many things to see in this island while enjoying precious time with your family.